Evelyn changed his signature in his late twenties, when his life was in transition. His first wife, Evelyn Gardner had left him in summer 1929. In autumn 1930 he converted to Roman Catholicism and took a trip to Africa. But when exactly did his signature change? In what way? And for what reason? 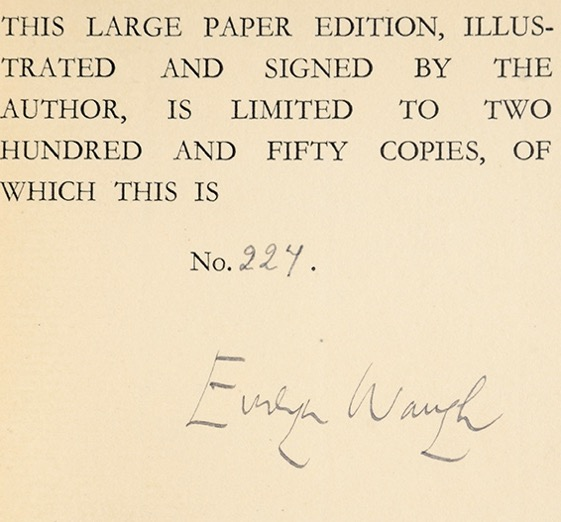 Contrast these with the way he signed the first edition of Black Mischief in October, 1932. 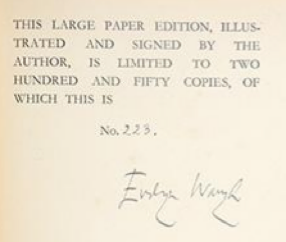 So the signature fundamentally changed in 1931. Why might that be so? 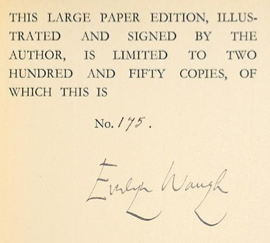 Perhaps this led to Waugh closely considering the word 'Evelyn' and in what way it should be manifested in ink. At a time when he was distancing himself from his first wife, expunging her name from his book, he might have decided to update his own 'Evelyn'. So instead of a soft, looping 'E', the 'E' becomes a bold vertical with three horizontal slashes. Echoing the fact that Evelyn became a harder man for the rest of his life. 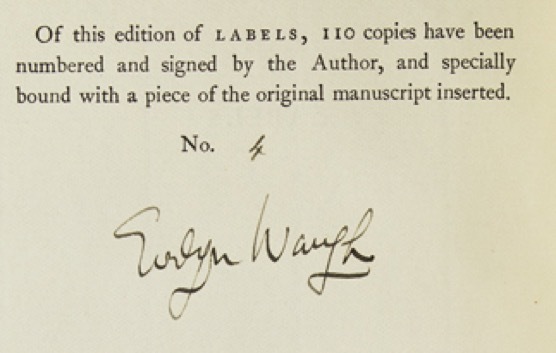 The change may also have been made with a view to making his own written 'Evelyn' look less like hers. What did She-Evelyn's signature look like? 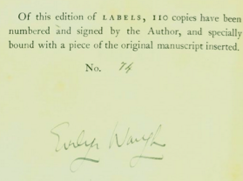 It looked like this, the sample signatures have been taken from letters that she wrote to her friend John Maxse in 1928 and 1929. 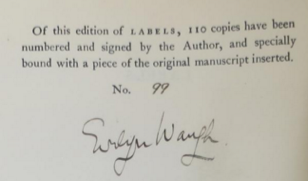 Conclusion: Evelyn changed his signature in 1931, possibly as a way of moving on from the failure of his first marriage.